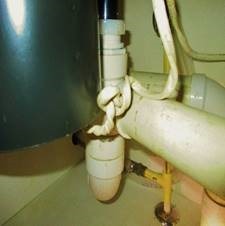 Knots are NOT good in wiring! Zink Home Consultants checks all wiring, from attics to basements. Knots in wiring is not good!